Wow, it's Friday already and yay October is here. This means fall is here full on. I love fall and in Greece we usually feel it around October as September is still quite warm. I love autumn as it means it is the end of the horrible summer with heat and stickiness and we can finally have bearable temperatures and dress nicely. Thank you so much to everyone for your support with my little hand accident. The situation remains mostly unchanged but I decided to ignore the pain and change my manicure today anyway. 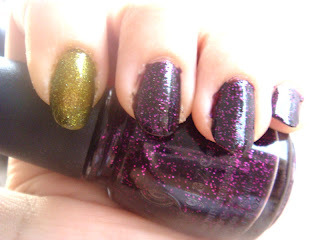 And as October is Halloween month I decided it was time I tried a couple of the China Glaze Awakening polishes. My choices: Mummy May I and Zombie Zest. For the record I want to say I usually hate greens. 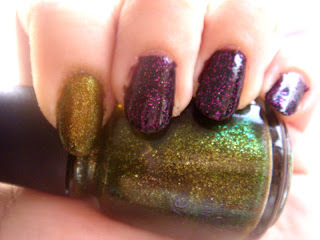 But Zombie Zest is one of the best nail polish colours I have ever seen. Now I understand why many nail fanatics were ecstatic about this colour. You have to see it in person to understand the awesomeness. I used Anna Sui base coat, then 3 coats of polish and a coat of China Glaze Fast Forward top coat. I am showing you the left hand (minus the battered finger XD). On the right hand I did the exact opposite, used Mummy May I for the index finger and Zombie Zest for the rest. Please excuse the quality of the mani and the pics, there is so much I can do in this situation. :-D I am actually sad that summer is already ending..These polishes look really pretty on you! @maisenzasmalto thank you ^_^ hehehe I guess I am one of the few people that are looking forward to the cold weather. Sometimes I think I'm living in the wrong country. @Stavroula euxaristo ^_^ I am absolutely loving these colours! Nah, I live up north. Haven't been to Athens for sometime now. I still need to get these - I just hope I can get to my nearest Sally's (two hours away) before they're all sold out! Nice colour! My fave one is the green! I haven't seen these in stores yet; might have to find them online because I love Halloween and glitter. @Zara you are so lucky to be able to get them locally. We don't have any CG polishes around here. @Alice yesssss, I love wearing cardigans too ^_^ Believe it or not the green one ended up being my favourite too! 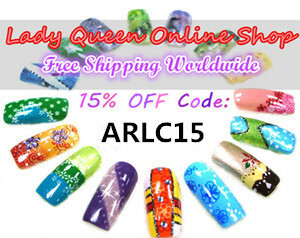 @KarenD I found them online at a very good price. And they arrived quite fast too!